A secretary at work once stopped me outside my office. “People are worried about you, ” she said. I stared for a moment, and then I understood. She nodded, relieved, if still a little worried. I was amused, and then I wondered, do people think I’m weird? You can always recognize the poet at work. Few of them actually wander the hallways, mumbling to themselves. Poets aren’t quite that odd. Usually. But you can tell who they are, even if they don’t write or read poetry. Or someone has neglected to do something the rest of the team is depending upon to do their own work. People look embarrassed, too embarrassed to say anything. The guilty party brazens it out in silence. The poets at work make the uncomfortable observations, point out the embarrassingly obvious, cut through the thicket of workplace jargon to get straight to the point, and ask “why” about the more ridiculous aspects of the organization’s culture. They may never write or read a line of poetry, but they behave just like the people who do. At best, they get classified in management reviews as “conscientious objectors.” At worst, they get saddled with the most dreaded characterization of the 21st century: “not a team player.” They rarely make it to senior management ranks; the culture recognizes a poet and responds like white blood cells fighting an infection. Years ago, a story was told about a brilliant researcher who made it into senior management ranks. His brilliance included challenging the status quo in unorthodox ways. His executive office didn’t have a desk; he said he thought better while sitting in bed, a big four-poster bed right in the middle of the room. And he’d make surprise visits into the research labs, which he believed were too quiet. He’d bring a trumpet, and play it. This was corporate America in the 1970s. He didn’t last long. No word on what happened to the bed. Beds and trumpets aside, organizations need their poets. 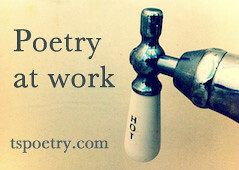 Not to keep people entertained or aggravated, but to do those things poets do best – stating the obvious, challenging the conventions, and keeping the organization from committing a kind of gradual suicide. Photograph by Kainet. Sourced via Flickr. 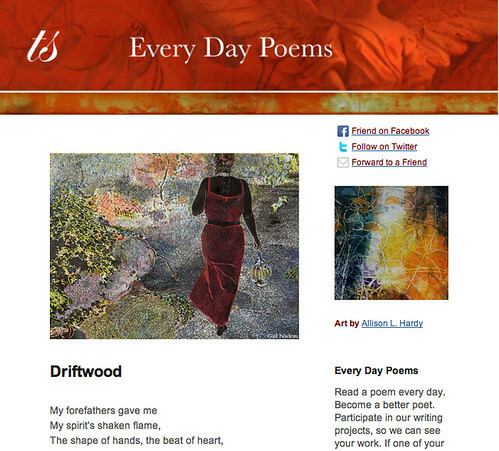 Poetry at Work™ post by Glynn Young, author of the novels Dancing Priest and the recently published A Light Shining. Good work here, Glynn. Thank you. Glynn this is going straight to a few poets at work that I know…. Thank you!! This is spot on. Thank you!! Some of the most beautiful poetry in the Bible came from Isaiah and other Prophets. The two just seem to go together – Poets and Prophets – with Saints optional 🙂 Thanks, Glynn. Mary – I think it’s about one third of the Bible that’s written in verse. And now I have to consider what often happened to the prophets. I wish I’d known to describe myself as Poet at Work during all those years toiling in an open office (when people were allowed to smoke indoors), being the one who spoke up and pointed out at the stand-up staff meetings (yes, no sitting), made sure the deadlines got met, and did the work myself when there was no one else. Gosh, I don’t miss that kind of poetry at all. Good post, Glynn! You and I, as I’ve said before, have had some very similar experiences in our office work lives. Even suicide-prevention efforts can be costly. Maureen — the cost always has to be considered. And there is a cost for the “poet at work.” There’s also a cost for not being “the poet at work,” too. Thanks for the comment. You’re weird, I’m weird, all of us ‘poetic types’ are weird… that’s why we do what we do. Eric – from one source of weirdness to another, Thank you. Words are indeed powerful, and especially when we start to write them down. And they can be sweeter, too. Thanks for the comment. Wonder if we could ever get a poet to run for president?! Gail, I’ll have to think about that one. Thanks for reading and commenting. very nice site, good work! !